Hi guys, new to this forum but not to Jeeps. Just picked up an 88 2.5 ax4 2wd. My plan for this thing is get it good for DD duties as I want to work on my xj a bit more. But at the same time I want this to turn into a possible autocross vehicle/fun street driver. Engine and trans will be swapped eventually but right now I want to set up the suspension and brakes. As most of the stuff needs replacing I want to upgrade from the get go. My main focus right now is the brakes. I would like to do the wj booster and also knuckle swap, but pretty much all info I found is for 4x4. Is the 2wd much different? Mainly the whole spacer system that 4x4 use for the hub. Any info would be great as other recommendations if there are other brake options. Thanks! Haha! Another street MJ in the making. There are no upgrades available for 2wd brake stuff, I searched forever and asked around but there is nothing. Hardly anything available for standard 2wd brakes anymore. If you want bigger brakes, you'd have to swap knuckles. I think you would see more of a benefit from swapping the rear to disks though. The plan for my 92 autocross truck is C8.25 swap with disks. Should be plenty of stopping power. 2wd WJ swap should be the same. Other than axle shafts and a diff there's not going to be a difference between a 4wd and 2wd. Technically you probably could find a 2wd WJ front, narrow it, possibly notch it so it's not banging on the oil pan if you drop it. Guess it would just depend on how much you want to fab, etc. I don't know much about the knuckle swap but I did do a write-up on the 2wd brakes in the write-up section several months ago. May not have all the answers you have about it, but may answer some. Lowering is a complete custom job. Nobody makes anything to lower XJ/MJs. While you are at the yard, grab some XJ leaf packs to lower the rear. Build your own pack using the MJ mains to get it lower with a decent spring rate. You can use XJ shackles as well to get another inch or so. For the front, get some 3"-7" lift springs and cut them down a little at a time until you get the height you want. 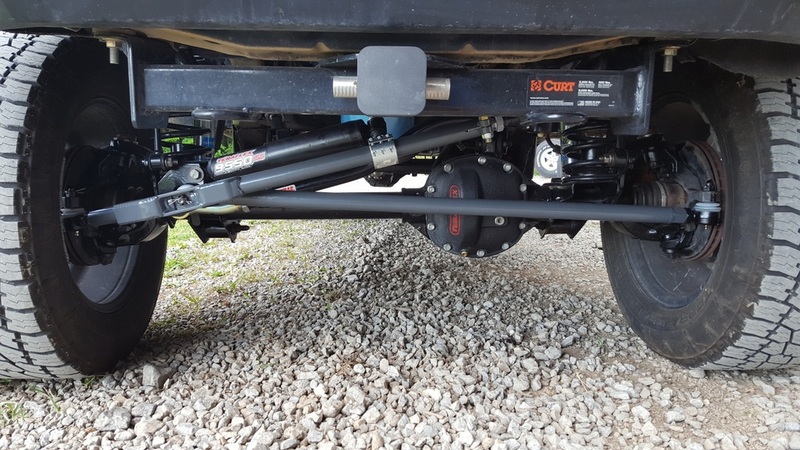 The lift springs are much stiffer and the taller spring you use, the stiffer it will be. I kinda figured it would be the same but my main concern with the wj swap is the bearings. Don't they use the axle shaft to hold preload on the bearing? And did not know they even made 2wd wj I'll have to see what bearings they used. As for lowering yeah I gathered that before I even had this Comanche as I research a bit before finding one. I was planning on using the rear coils out of a zj for front lowering. Rockauto has heavy duty ones listed which I hope means spring rate not height. Rear is gonna be blocks and xj shackles for now. As for shocks what did you use? I don't want just cheap gabriels. Maybe kyb or even belltech has some nice ones. Just gotta know what vehicle to get them from. And I'll check out your write up. Thanks. I haven't lowered mine yet, still gathering parts, shocks I haven't looked into yet because I want to find my height first. I need to get a set of XJ leaves but I can't find a set for a decent price. Junkyards around here are asking $80+ for one used spring.. rediculous. Keep in mind that the WJ used a different wheel lug pattern, so to run WJ front hubs you'll need adapters. Also, I believe the calipers are too large to fit behind 15" XJ/MJ wheels. I've done a lot of autocross in my time -- twice runner-up in the state in my class, one time state champion in my class. IMHO you don't need to change your front brakes. Maybe swap to the newer, double-diaphragm booster, but I think the late model XJ would be an easier swap than the WJ booster ... and I don't really think you need to replace the booster at all. Do a disk brake conversion for the rear, then pick a good set or semi-metallic pads and have fun. I'd recommend an adjustable proportioning valve for the rear if you convert to rear disks. I'm planning to do the same thing on the 86 I will build for my daughter. The WJ 2wd knuckles use an axle stub through the bearing to hold the wheel bearing together. I was planning to take the end cups of the front CV axles and either use them as is or cut them down to do the same thing. Yes the bolt pattern is different, but I'm planning on WJ or JK wheels anyways so the pattern would be right for them and then use adapters in the rear. And supposedly, ZJ rear coils put on the front of the MJ or XJ will lower the front 2- 3 inches and not have a stiff spring rate. Ive yet to try it, but might do that as well to the 86. I'm gonna be running 16 or 17 inch wheels so I'm good in that department. Also, for the conversion. Part of it is running 00 to 01 hubs so the pattern stays the same. I'll have to check out a wj when I go to the yard this weekend. The coils on Rock Auto are only like 50 bucks for the zj so I'll give them a shot relatively soon and report how they work. Before I do the rear conversion I want to swap axles so that's gonna be a bit down the line. I gotta decided what axle I want unless I come across a sweet deal for something in the near future and just wing it. Easiest swap will be the C8.25. especially if you pull one from a Little because it will already be disk brakes. You'll want the 02+ WJ calipers, the akebono ones. You can run a 9" in the rear and it will have a 5x5 too. 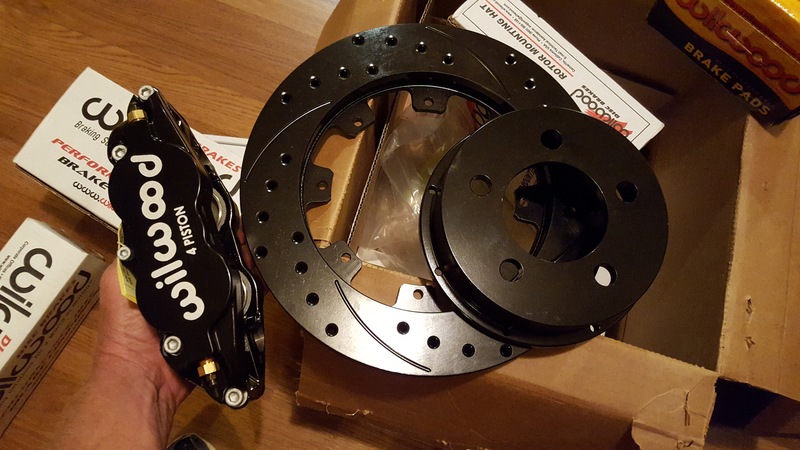 07-08 Libby or Nitro rotors will work for a 5 on 4.5. 00-01 XJ hubs work on WJ knuckles. I don't know if you would need the 1/4 spacers or not. I did have to use spacers front and rear with 15" aluminum rims. I am swapping WJ 5X5 hubs and knuckles on the front, presently. Also, going to adapt the WJ rears to a Ford 8.8 with Yukon floating axles. They have an option for 5X5. Is that for a Jeep specifically? I'm pretty sure the spacer is just for the u joint ball joint alignment so I wouldn't need it. My next question is steering. I'd like to not have to mess with it just yet. I know the wj knuckles have the high mount. Could I just use the lower tie rod mount with the stock steering? Spacer is for rotor/caliper alignment. Has nothing to do with axle shaft, IIRC. I vacillated on the WJ swap for a long time, I decided for me that it was total BS. I did a cross over steering, 1-ton tie rod ends. I did want to see if stock would work. The taper is the same. I believe others have done it. Also, use the lower WJ ball joint. The taper is correct, the XJ lower ball joint will 'fit' with slop. Not advised. You autocrossed an XJ? Cool. Yes, I am being a smart @$$. 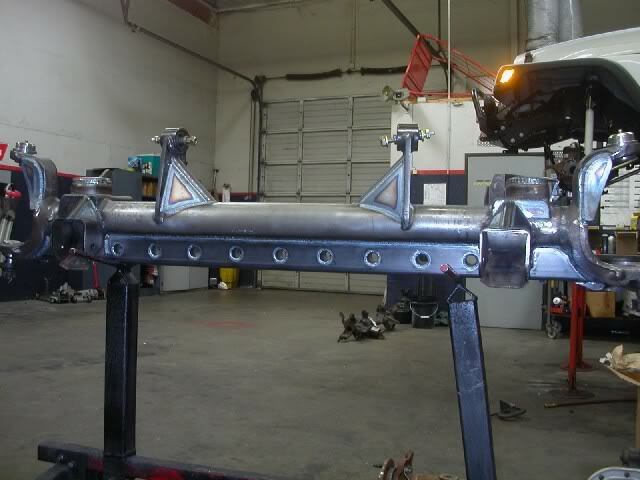 One concern is the non use of the 1/4 welded on spacer. Therefore the rotor is 1/4" inboard. You would need to add 1/4" spacer washers to the caliper brackets to get the correct stackup. I'll look at earlier XJ hubs. They are a bit wider. 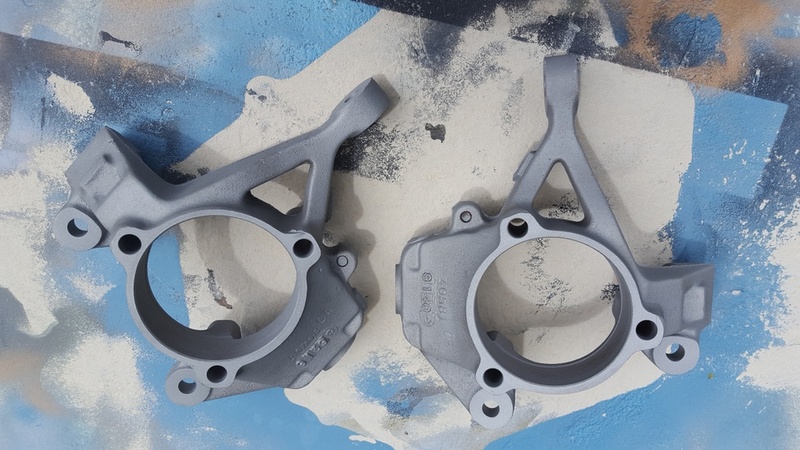 Is there a difference in the knuckles (or at minimum the caliper mounting) between a 2wd beam and a Dana 30? 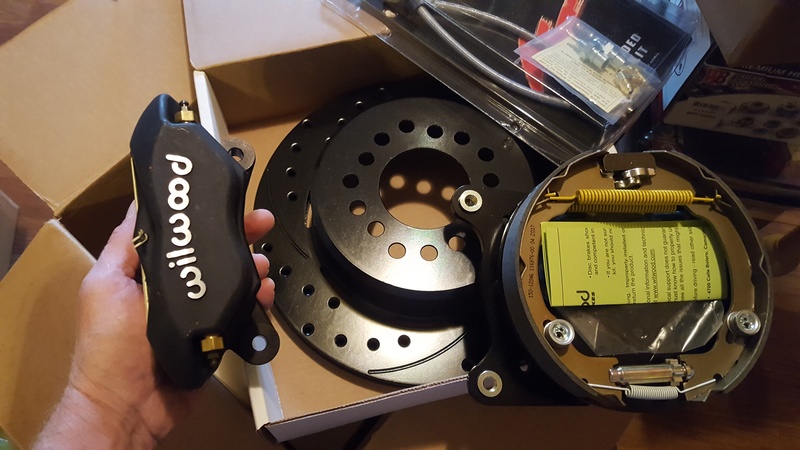 If not here is an interesting brake upgrade I have seen which would retain your stock knuckles and steering; seems like a fairly decent upgrade for not alot of money. Is there a difference in the knuckles between a 2wd beam and a Dana 30? If not here is an interesting brake upgrade I have seen which would retain your stock knuckles and steering. Yes, early knuckles have spindles........incompatible with any 'upgrade'. Later 2WD have unit bearings but not the removable caliper mounts. 88-89 4W knuckles are the ones to get and they are now hard to find. One thing you are going to find out once you start sourcing parts is just how expensive and how much work it is to cobble up a so-called junkyard upgrade. These are the ones to look for.